Parking on street available at select times. Parking garages on 51st Street East and West of our Location. Del Frisco’s Grille is a stylish, modern restaurant with a vibrant ambiance where life is celebrated around the table. Boasting premium American classics infused with fresh, seasonal ingredients, the Grille’s thoughtful menu features Del Frisco’s Prime, hand-cut steaks and craveable, shareable dishes such as the signature Cheesesteak Eggrolls. With an award-winning yet accessible wine list and hand-crafted cocktails, Del Frisco’s Grille takes guests through a social culinary journey with each experience, no matter the occasion. Del Frisco's Grille is in the heart of Mid-Town at Rockefeller Center. 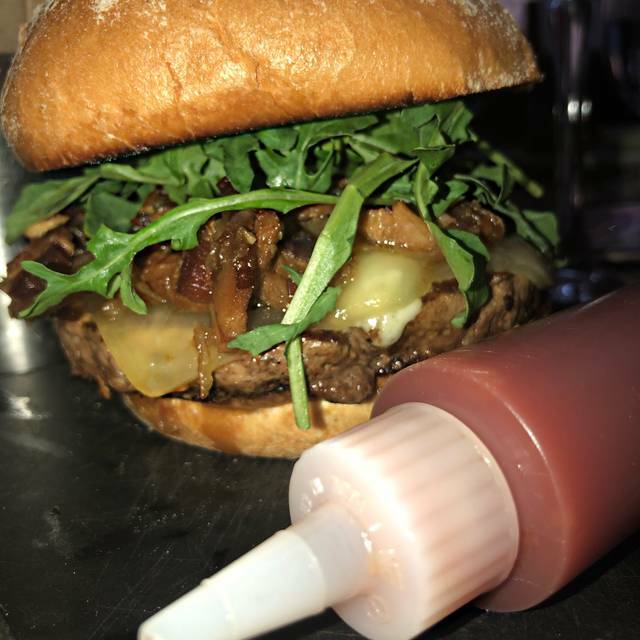 Join us on our outdoor patio on the historic Rockefeller Plaza. *Reservations are accepted for indoor dining only. Patio seating is available on a first-come, first-served basis. Too many good restaurants in NYC to go here! The food was tasty, and our server was excellent. We were disappointed to see a different menu than what was posted online. Since one of our kids is a picky vegetarian, we generally check to make sure there are 2-3 options for her before hand, and none of the 3 we saw online were actually on the menu the day we visited. 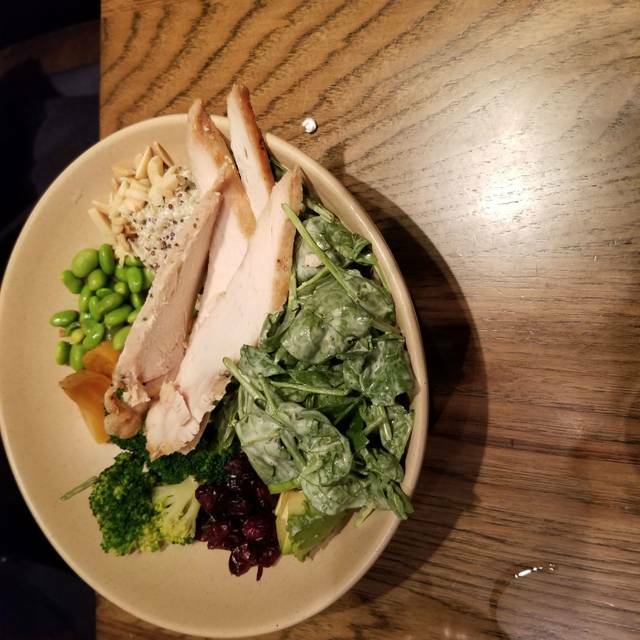 But our server was able to put together a Caesar salad for her, despite it not being on the menu that day. 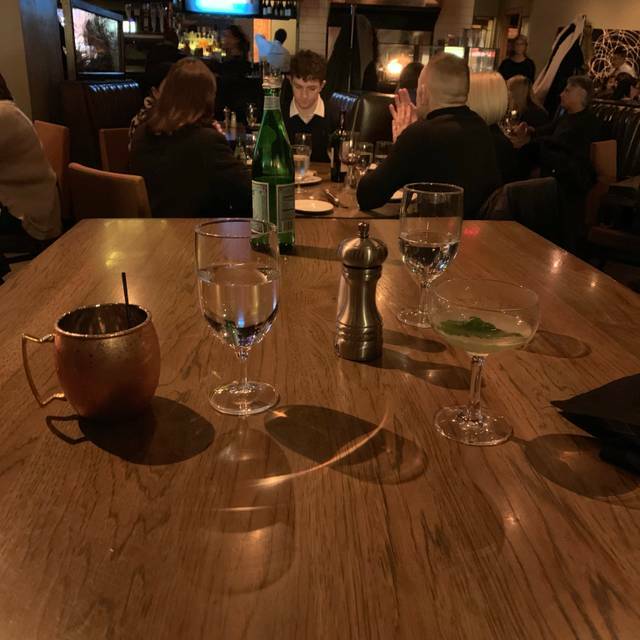 I met a girlfriend we haven't see each other in 15 yrs +, I asked for a corner table to have some quiet area. The waiter came inmediately and showed us the Wine Menu, although some over $ 50.00 we had a nice Pinot Grigio. We ordered the salad with blue cheese dressing, and we had to share, he also said if we can share the fillet mignon, and we said no, one for each of us, and some french fries. The meat came out perfectly cooked as we told him, pink in the center. The only thing is it had so much pepper I couldn't talk too much, but it was fine. I'll go there again soon.. Very pleased..
We were there for an anniversary and indicated such on open table but there was no mention at the restaurant. Food was great but service was just ok. We ordered a bottle of wine which was out of stock , so chose a different bottle. However when we received our bill both bottles were in there. That’s just bad business !! We almost paid an extra 60 dollars .. come on just not good. 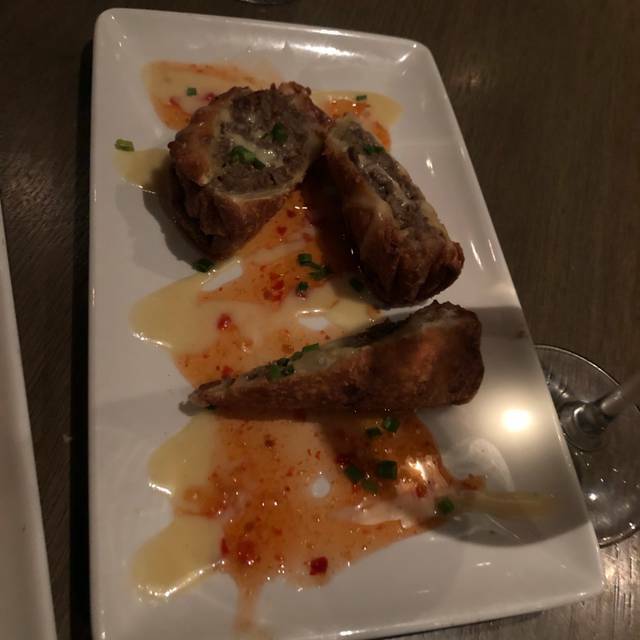 We had empty plates in front of us for too long, when the shrimp cocktail came the sever didn’t know what the sauces were. We had to ask for bread , some tables had table clothes while others didn’t .. hmm just Little things like that were disappointing . Additionally no manager ever came by the table to ask how the dinner was .. was a poor experience. 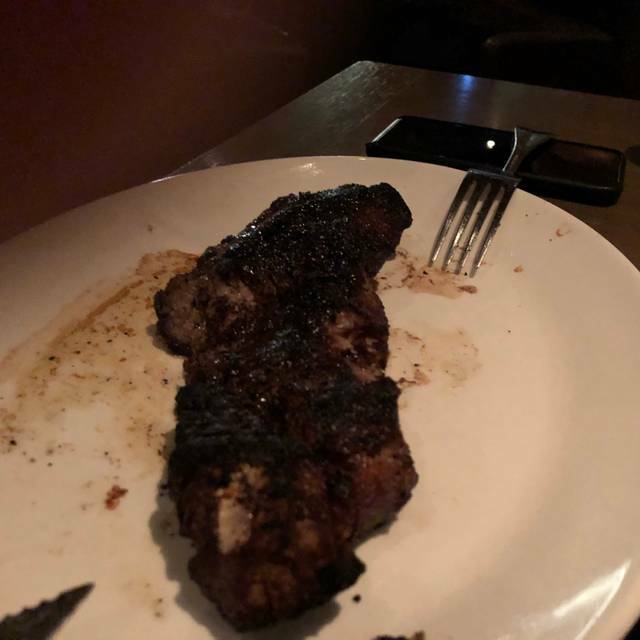 Was at a different steakhouse last week in the city where the food was not quite as good but the experience and service was so much better. Server was good at first, then abandoned us. Food was not as ordered, no one came to check on us. Nearby diners changing baby diaper on chairs in view of patrons and staff. No one said anything. Gross and disgusting. Our server Lisa was wonderful!! She recommended a drink that was delicious and other itmes that we tried and loved. I will definitely go back and request Lisa as our server. It can be so difficult to find a great restaurant experience in NYC when accommodating a large group of many ages. 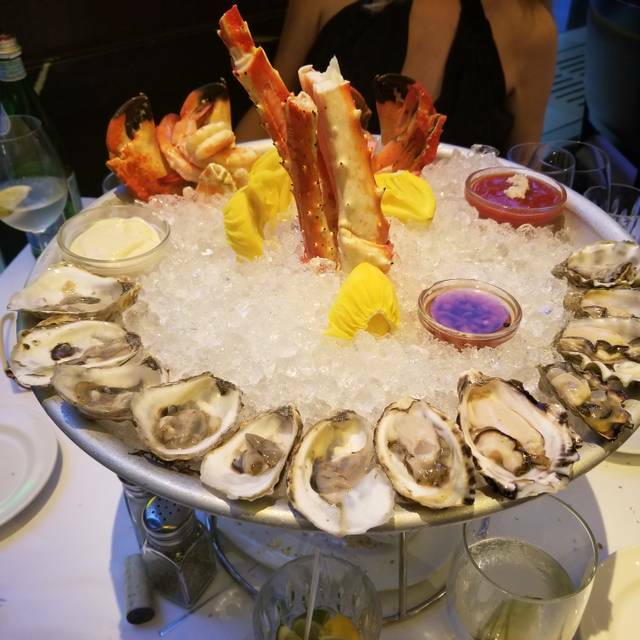 Tonight our group ranged from 2-73 and Rigoberto really provided some of the most excellent service my family and I have ever come across in NYC. Thank you so much for your delicious food, your positive attitude and your overall extremely pleasant experience. We will be coming back on future visits for sure! 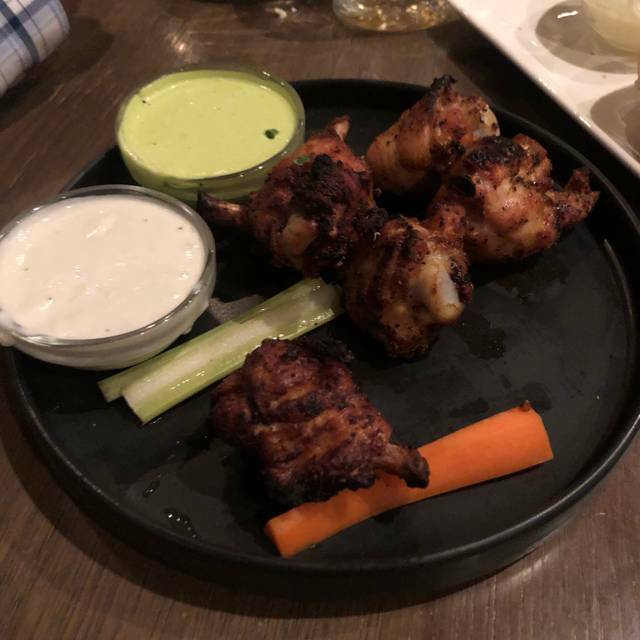 I have been eating the same thing at DFG for a few years now, chicken lollipops, ahi tacos, cheesesteak eggrolls, steakhouse salad. The food quality has gone down hill unfortunately. Over salty egg rolls, and bland on the steakhouse salad, it just wasn't up to par the past 2 times I went. I love DelFrisco's Grille for anything: client lunches, drinks, and dinner. The food is great, and they know me, so it's always a good experience. I love coming here. Booth configuration for table for 5 was crowded and cramped. After Radio City Show - Tony Bennett . This place is the best! Food is great service friendly and prompt. Clean Clean Clean. One of the few tourist spots in a tourist central location that even the true locals enjoy! A place that my mom loves too NYC since 1939! My compliments to a great resturant and the Baked Goat Cheese, Steaks and Lemon Cake are the Best! Love the Lemon Cake getting a full sized one for my sons bday cake!!! The food was good, but the service was pretty bad. We wound up being late for our show. Great service & always nice & great table! It was our first time and won't be the last. From the hostess to our waiter right down to the food, everything was great! Can't wait to go back. Server/ servers are we’re excellent! Burger was two McDonald’s patties - not what you expect at even the “cheap” Del Frisco’s. Always a great experience! Good service and good food! Desserts are not as good as the steak, below average. This place is fabulous. We were only in New York for 5 nights and went there twice. The steaks are perfect and so tasty. Good wines at decent prices. Portion sizes good. It’s not cheap but location and quality makes it worth every penny. Our first impression was a very unfriendly hostess who needed an attitude adjustment. We were fortunate that we had the best server, Maria. She turned the evening around. The food was good but not fabulous. I enjoyed the Burrata and the heirloom tomatoes were delicious but they stuck in a few hot house tomatoes as "filler" that were as tasty as cardboard - sorry - not as these prices. The lemon cake was supposed to be their specialty. I thought it was dry and frankly, not very good. If that is their best, it is sad. They need to be a better "best" dessert. I could give them some recipes! Definitely not worth the price and it was not a fine dining experience. Late lunch / early dinner. Service was wonderful. Food was delicious. If I had to criticize anything it’s that the ahi tuna tacos were on the greasy side. BUT delicious too. Definitely will be back. I have eaten at this chain in other cities and have had much better meals. Found this experience to be just ok. Nothing fantastic for the high prices. An unfortunate shadow of the premier del Frisco's primary NY restaurant on 6th Avenue. Entire place seemed rather second rate, sloppy, and totally devoid of the ambiance and classy appeal of what I've come to know as a first rate operation just a few short blocks away. Do yourself a favor and stick with the real thing. Excellent. Crab cakes are phenomenal! 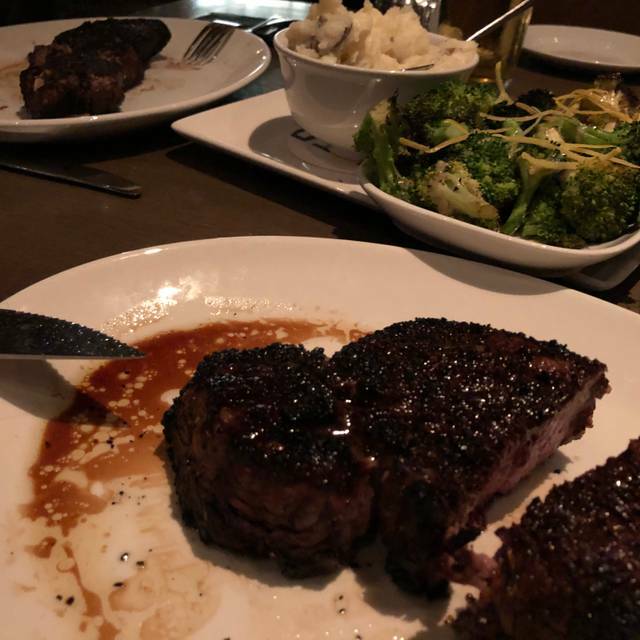 Del Frisco's Grille was the perfect stop to eat before going to a show. The food and service were wonderful. They were on top of everything. I highly recommend Frisco's Grille. Phenomenal. The service and food/drinks/wine could not have been better. Even the music was fantastic. My friend and I had an excellent time and will definitely be back! We had a great celebratory dinner after a long week of working a show. All the food was delicious. The only weird thing is that they set your table with bread plates but only bring bread upon request. Ask for the bread it is delightful. Our service was top notch. The food quality was equal to that of the DelFrisco's steak house but a more casual dinning experience which was nice. The restraunt was very loud and busy but we could still have a conversation. This will definitely be added to our NYC rotation of restaurants we enjoy. My wife and I ate here April 3rd. Made a reservations on open table and was very easy n quick. The restaurant was busy and on time for our reservation. We ordered drinks and an appetizer which came out quick. Soon after our dinner follows which was great!! Def. 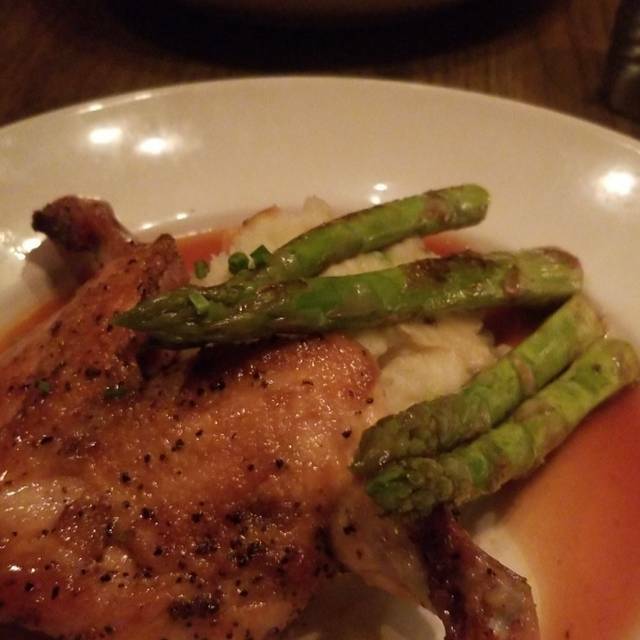 would recommend del Frisco’s. The food is good. The service was excellent. The only complaint is that the noise level is very high. I would prefer a calmer atmosphere so it is easier to have a conversation. Too crowed, too loud. Staff forgets to serve back tables. Overpriced. Perfect for gangs of finance guys in suits with corporate cards. Enjoyed lunch. Food was delicious. Very noisy, but we had a later lunch so crowd cleared out about 2pm and we could actually hear each other in conversation. Horrible lighting, unattentive staff and mediocre food. Worst meal I have had in the city we wouldn’t go back.